YouTube is following in the footsteps of other streaming media services by offering discounts to students. Eligible students can get money off both YouTube Premium and YouTube Music, making YouTube’s paid-for services a more attractive option. 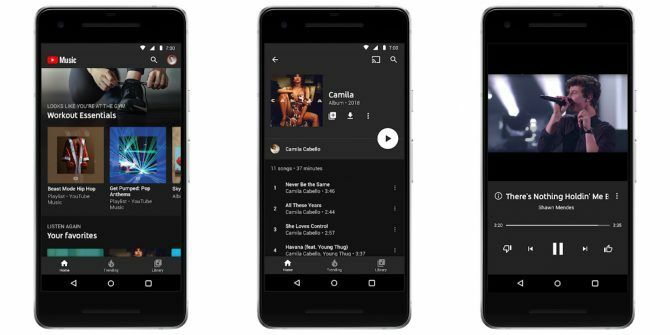 For the uninitiated, Google launched YouTube Premium and YouTube Music Google Launches YouTube Music and YouTube Premium Google Launches YouTube Music and YouTube Premium Google has launched two new services: YouTube Premium and YouTube Music. Except they aren't really new. This is more of a rebranding exercise for YouTube Red and Google Play Music. Read More in May 2018. YouTube Premium is the new name of YouTube Red, and YouTube Music is the new name of Google Play Music, although Google Play Music is sticking around for the time being. YouTube Premium usually costs $11.99/month and YouTube Music Premium usually costs $9.99/month. However, students attending an accredited college or university in the U.S. can now get YouTube Premium for $6.99 and YouTube Music Premium for $4.99. On top of that, YouTube is currently running a special promotion. This means that if you sign up to before January 31 you can get YouTube Premium for just $5.99/month. And this price will remain in place all the while you remain a student. While this is a significant saving for students it’s worth taking a look at exactly what you get with YouTube Premium and YouTube Music Premium. After all, there’s no point paying for something you’re unlikely to use. A YouTube Music Premium subscription gets you ad-free music, the option to listen in the background, and music downloads. A YouTube Premium subscription gets you all of the above, plus ad-free video, the option to play in the background, and video downloads. These student discounts aren’t YouTube feeling generous. Instead, the company is trying to grab people while they’re young. If you get used to watching YouTube without ads and streaming music via YouTube you’re unlikely to switch once you leave school. Even if you aren’t eligible for the student discounts, it’s worth considering whether YouTube Premium is worth the money Is YouTube Premium Worth the Cost? 7 Things You Need to Consider Is YouTube Premium Worth the Cost? 7 Things You Need to Consider Is YouTube Premium's cost worth it? We look into the pros and cons of YouTube's paid version. Read More . And if you do sign up, these are the best YouTube Originals to watch on YouTube Premium The Best YouTube Originals to Watch on YouTube Premium The Best YouTube Originals to Watch on YouTube Premium YouTube Premium subscribers gain access to a host of YouTube Originals. We've found the best YouTube Originals worth watching on YouTube Premium. Read More . Just watch how much data YouTube uses How Much Data Does YouTube Use? How Much Data Does YouTube Use? Wondering how much data YouTube uses? In this article we calculate the numbers and show you how to reduce your YouTube data usage. Read More . Explore more about: Students, YouTube, YouTube Music, YouTube Premium.